Well if you are anything like me, you are still scrambling to find a few more great gifts for the special people on your shopping list. So here are some of my picks from the website, The Ultimate Green Store, to check out for the eco-conscious folks in your life...or maybe they aren't eco-conscious, but you are! Shains are recycled accessories that encourage and empower people to make their own statements and change them whenever they want! Shainsware, the company, is dedicated to producing eco-friendly products that are useful and empowering. They donate a percentage of net profits to environmental organizations. Shains products are made of recycled and recyclable parts and everything Shains produces is certified lead free. 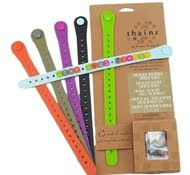 Shains packaging is also recycled and recyclable. 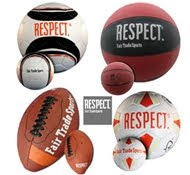 Fair Trade Sports, Inc is the first sports equipment company in the US to launch a full line of eco-certified Fair Trade sports balls, ensuring fair wages and healthy working conditions for their adult employees. 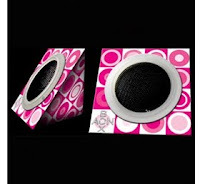 AON BOX™ Speaker Boxes is what Green Sounds Like! AON BOX™ speakers come conveniently packaged to travel in a durable polypropylene box that can be easily packed away in a backpack, carry-on bag or suitcase. They are compatible with all iPod®, Mp3 players, multimedia cell phones, portable DVD players and portable gaming devices that use a standard 3.5mm audio frequency jack. Each speaker provides 1 watt of quality sound without the need for batteries. Good luck and enjoy the rest of your shopping!